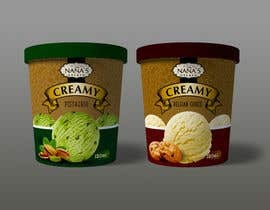 This project is about the commercialization of our Gelato ice cream called Nana’s Gelato. 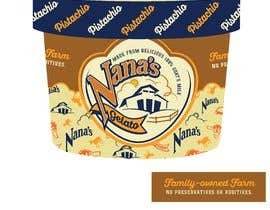 Nana’s Gelato is a product of Nana Kaas D.o.o. 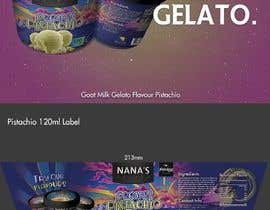 We produce a variety of dairy products, including delicious Gelato. 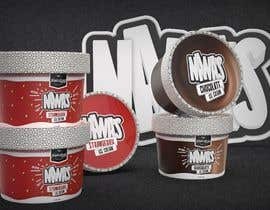 It is our goal to offer our Gelato to stores in the near future. To realize this a very important factor is the branding (brand logo, design, packaging) of the product line. 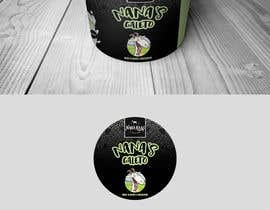 Gelato ice cream made from 100% goat milk, no preservatives or additives. 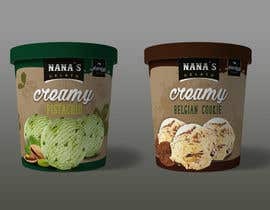 For introduction of Nana’s Gelato start with 3 flavours: Belgian cookie, hazelnut and pistachio, with expanding of product line after certain time. 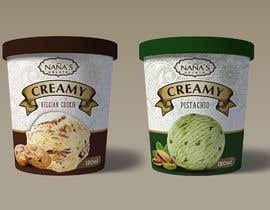 logo design: Ideally we want Nana’s Gelato logo (attached) to work well with the company house style, but can stand as a separate brand. Company house style: For all of our dairy product we work with dark grey or black backgrounds and golden colours for details. The company word logo is handmade, so no font is available. The goat logo is, like the word logo, completely in vector. 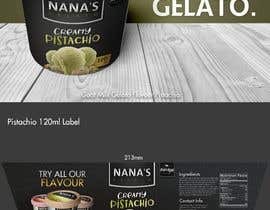 Obviously we need the Nana’s gelato logo and package design in vector (.ai or pdf) too. Although it is not necessarily a must to include a drawing of a goat in the logo we entertain the idea (cartoonish like Ben & Jerry or stylish, realistic like 2nd street creamery). 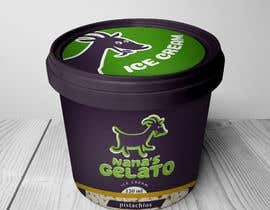 Either way, it’s important that the customer can see by the package that Nana’s Gelato is made with goat milk. Packaging design: Our boxes will be made of environmentally friendly material. Also our product is an all-natural product. 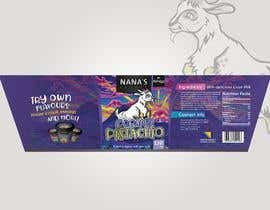 I attached some images including our Nana Kaas logo and packaging that we like. UPDATE 13/12: Tomorrow is normally the deadline so in a last effort to get some nice out of the box ideas I made a sketch myself ([login to view URL]). Like I said before, we like detail, in the drawings, background, the texts... We like the label to show the graphical skills of the designer (but it needs to be vectorial!) 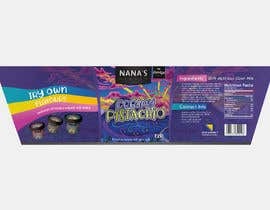 In the sketch provided the word Nana's is based on the font style from our company logo Nana Kaas. It's a logo that has a bit of a retro feel to it, it would be nice if that retro feel comes back in the design (but also not too much, we don't want it to be too hipster also :)). The word Gelato is actually based on a font called Gelato font :). I put two dogs on the side (they are on lookout), they are actual guardian dogs for our herd in our farm, that's why I put them there :). Last time I also added a little sketch as a guide, many people used it in their design without putting in too much of their own style, that was not really my intention that time. With adding this image I hope to receive some creative entries, either from using that image as a starting point or to create your own ideas. 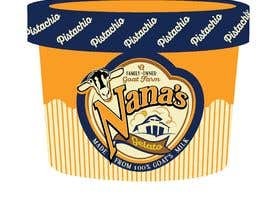 But please no more basic nana's gelato text logo's that takes 10 minutes to make... If people are up for the challenge I'll extend this contest. I'll also add some pictures of our goats (copyright by Dajana Lemic), and the company logo in .ai format . Good luck guys, let me know! Hi! Please review #122 thank you. Please keep the contest open till the end to give others time to make their proposals ... usually, a good presentation takes a little time ... Thank you! Hello, please have a look on my entry number #66 . Thank you very much. Hi! Working on a design. Please don't end the contest early. Pozdrav.Poceo sam da radim ako imate nesto sto vam pada na pamet pored ovih slika slobodno mi posaljite poruku. Please keep the contest open to give others time to make their proposals ... usually, a good presentation takes a little time ... Thank you! Please see #50 - Thanks! 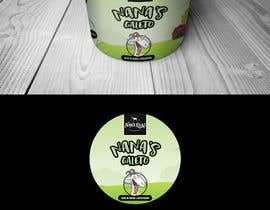 Do you prefer the logo of nana´s gelato to be a typography downloaded from the internet or would you like the creation of an exclusive logo in lettering? Do you prefer the logo to be a script or in separate letters? Hi there, we don't really have a preference about that, as long as it looks good. Our Nana Kaas logo is a handmade logo that started with a pencil and was then vectorized, no font was used for that and we like it. We like it to be stylish and detailed, playful, but not childish because we want to target basically every age group.